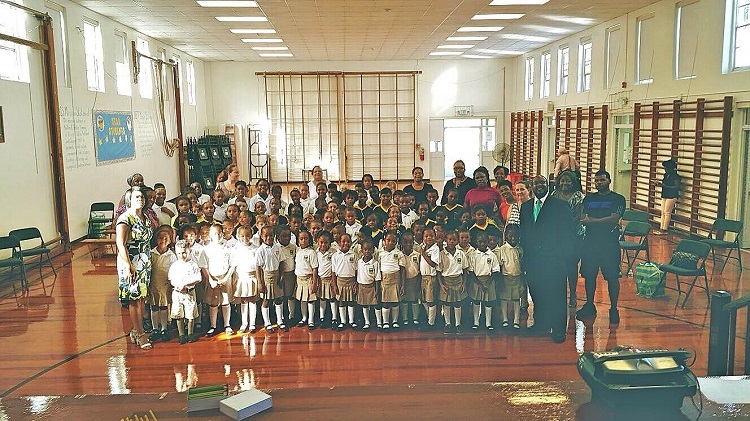 The Sandys South Branch of the Bermuda Progressive Labour Party recently donated classroom supplies to the P1-P6 students of Dalton E. Tucker Primary School. Sandys South MP Jamahl Simmons remarked, “We are committed to our youth and to doing all we can to ensure that they have the tools they need to succeed. We are glad to be able to contribute to their educational experience.